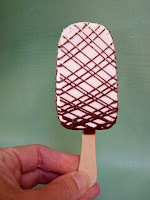 Today was Day #8 of Chocolate Cow Theme Week, and Day #2 of Chocolate and Mint Ice Cream Theme Week. 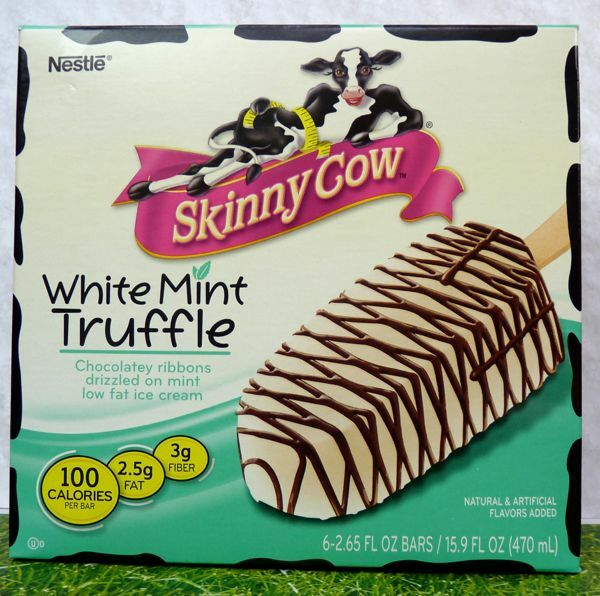 The two themes converged here with a Skinny Cow White Mint Truffle frozen bar from Nestle. 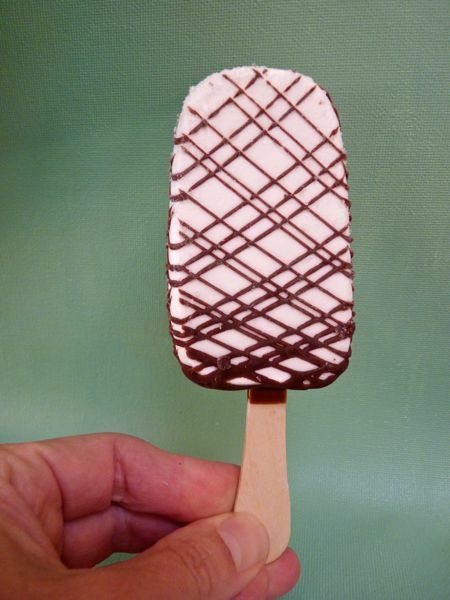 This creamy, white, low fat, mint-flavored ice cream bar was drizzled with "chocolatey ribbons" and contained both natural and artificial flavors. I was impressed with the smooth texture. I did not read the ingredients list too closely to see how this was accomplished. 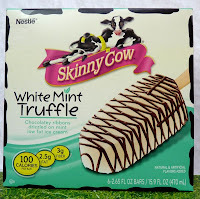 Weighing in at a mere 100 calories per bar, this Skinny Cow bar was a more satisfying dessert treat than I'd expected.